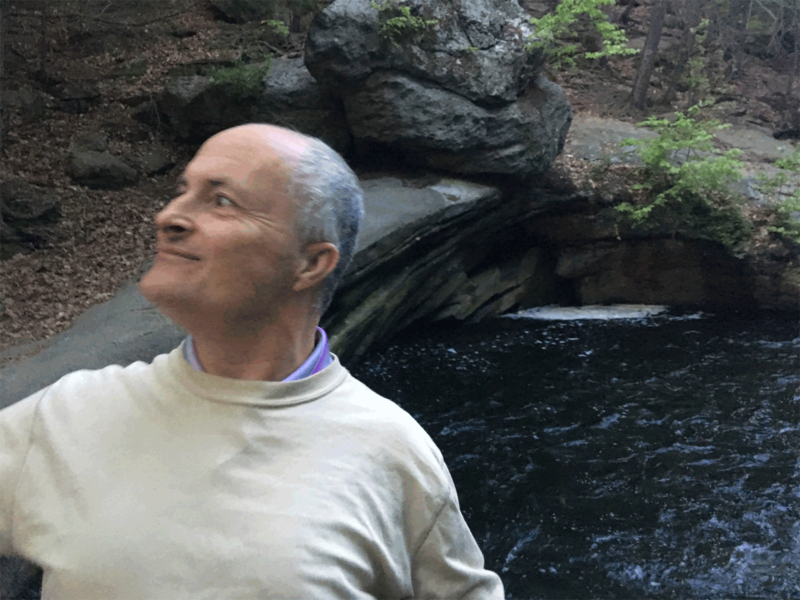 Jim Cole began practicing harmonic overtone singing in 1991, inspired by David Hykes and the Harmonic Choir's Hearing Solar Winds. Also inspired by the reverberant cistern recording Deep Listening, he discovered an empty water tower in which to develop Spectral Voices' signature overtone music. 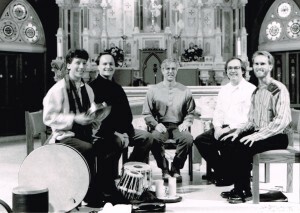 In 1996 Jim received an artist fellowship award from the Connecticut Commission on the Arts, which supported the production and release of Spectral Voices' debut CD Coalescence. Jim + Spectral Voices continue to cultivate unique music through group overtone singing improvisation. They meet weekly and welcome new listeners and practitioners. Jim also regularly performs his solo overtone songs with guitar. He lives within the golden mean. They are power within themselves. No script can put upon the page what is heard or felt. A voice of prime matter coupled with the integrity of husbandry. Guardian of innocence and giver of life bring forth that which you know so well. Let us hear the mist breathe, let us hear what lies in the hollow of our own soul. He can traverse the intervals of the abyss. 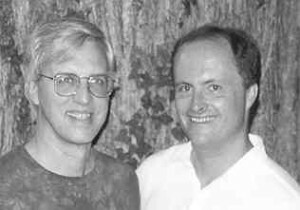 Alan Dow began harmonic singing with Jim in 1992. As a child he learned to sing harmonies and play piano by ear, was in rock groups in high school and college, has sung in a capella groups including the Colgate Thirteen, and dabbled in songwriting, arranging, and recording with his brother Larry for fifteen years. Alan co-produced Spectral Voices' CD's Coalescence and Sky with Jim. Alan believes he may have been an electric guitar in a former life and lists Jimi Hendrix, Jeff Beck, Joe Satriani and other guitarists among his main harmonic influences. He lives with his extremely tolerant wife Karol and is a practicing Sesquipedalian Sciolist. Jim Desmond has performed as a vocalist and pianist in a variety of settings and genres. 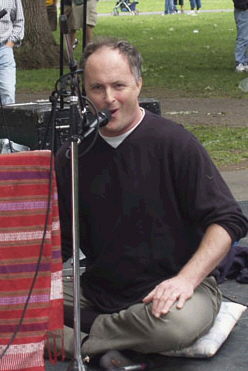 As tenor in the New York vocal ensemble Toby Twining Music, he contributed his abilities with various extended vocal techniques, most notably harmonic overtone singing. He received his B.A. in music at Wesleyan University where he studied choral conducting with conductor/composer Neely Bruce. 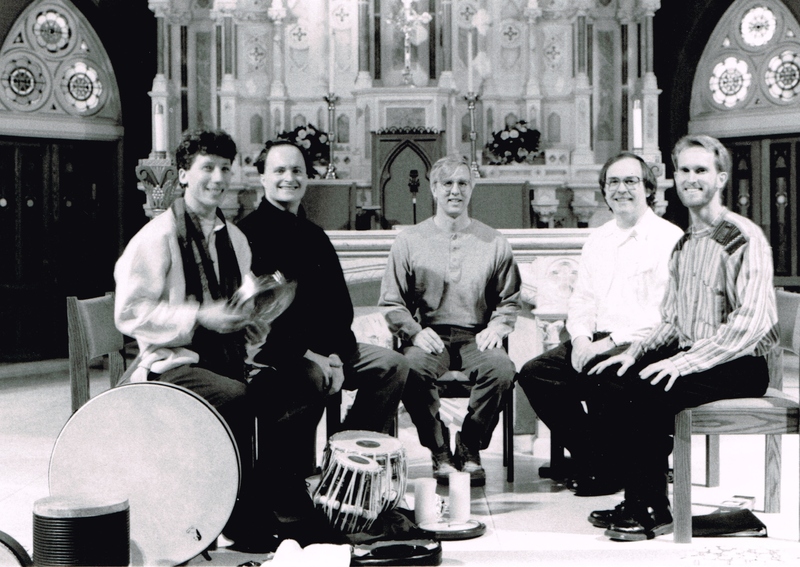 There Jim also sang with various a cappella groups and studied voice and music from many cultures. 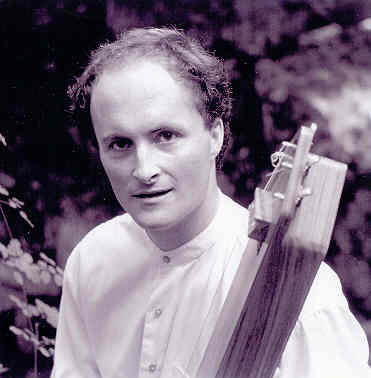 Jim currently performs music from the Republic of Georgia with the vocal trio The Other Georgia, and plays various instruments as a world/folk dance musician. 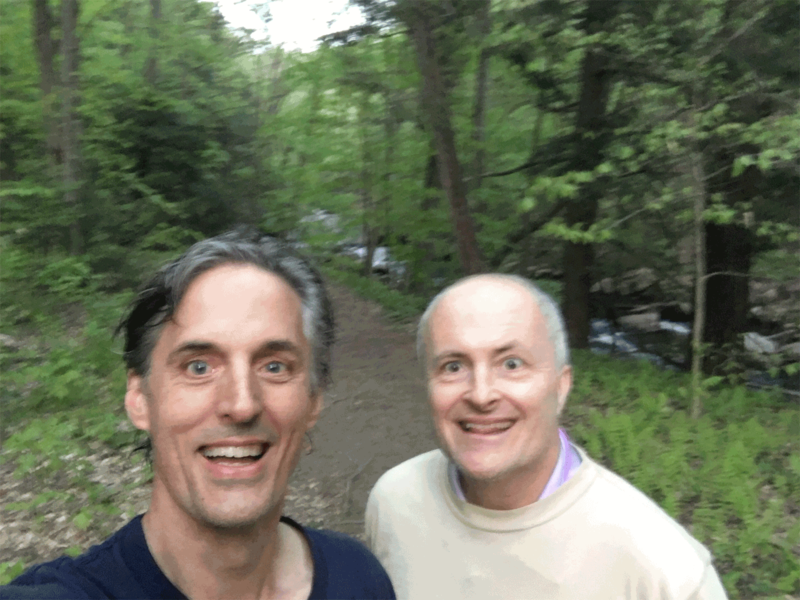 He thoroughly enjoyed singing with Spectral Voices from 1996 to 2001.